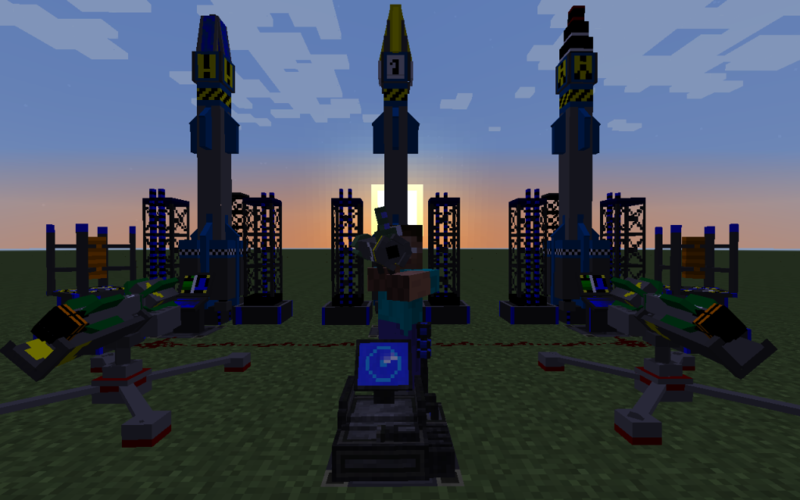 DefenseTech is a Minecraft mod bringing high-tech, advanced defense systems into the game through missiles, powerful explosives, and other nifty gadgets. The mod serves as a classic continuation of Calclavia’s ICBM mod with a few tweaks here and there to help things run nicely. This entire project has been built on the Mekanism libraries, meaning everything will run smoothly, but you’ll need the core module of Mekanism to play. DefenseTech is NOT a replacement of ICBM or intended to rival its continued development in any way. This is NOT ICBM Classic, rather a third-party refactoring of Calclavia’s ICBM. Check out the completely redesigned version of ICBM being developed by DarkGuardsman here! None yet! I’ll embed a spotlight here as soon as an appropriate one is posted. I’m using Patreon now! If you want to contribute to DefenseTech, use the link below! – Calclavia, for the original ideas and innovations featured in the ICBM mod. – DarkGuardsman, for giving me the permission to work on this project.